If you like zombies…we got ZOMBIES! It’s an all-out ZOMBIEFEST this month at Bongo! First, Homer leads an ever-diminishing group of survivors in their quest to stay alive against a marauding horde of cannibalistic zombies! And Bart and his friends must fend off the shopping dead while trapped at the Springfield Mall. Then, Homer and Bart must protect the nuclear power plant from a zombie invasion. 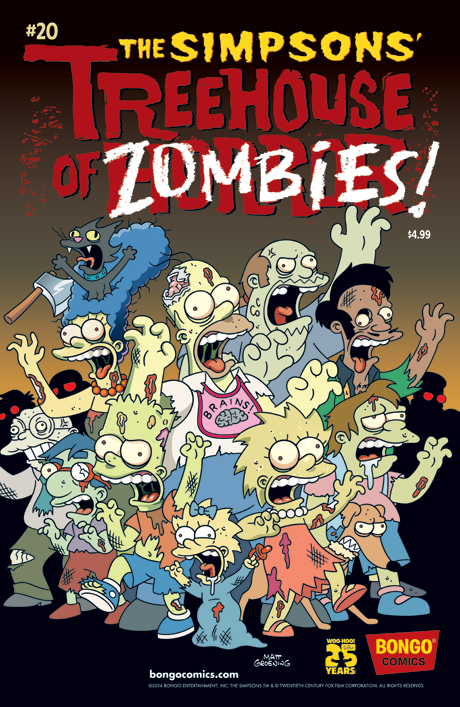 Finally…a ZOMBIENADO strikes Springfield! (Need we say more?) It’s a lighthearted, night of the living dead, laugh riot!